Cambodia and Vietnam are on the verge of war, and the murder of a German researcher and his wife brings Sam Gatlin back to Southeast Asia, drawing him and his Australian mates into a conflict with a mysterious Laotian power broker whose brutal warlord holds the dead couple's children for ransom. 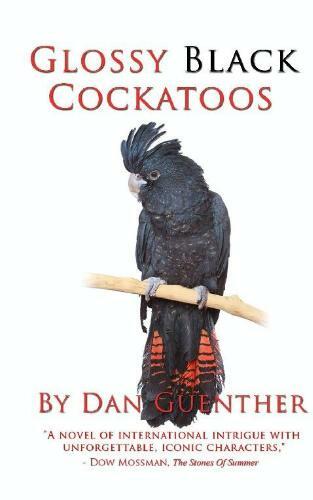 Glossy Black Cockatoos is Dan Guenther's fourth novel, and is the 2010 Colorado Authors' League Award selection for Genre Fiction. "In Glossy Black Cockatoos Dan Guenther once again takes us to exotic places in the tradition of Joseph Conrad with a story of personal redemption that is at once dark, comic, powerful, and evocative." — Bob Fischer, Colonel USMC (Ret. ), former advisor to the Vietnamese Marine Corps, Lecturer on Strategy and Tactics of the Insurgent, Naval War College.